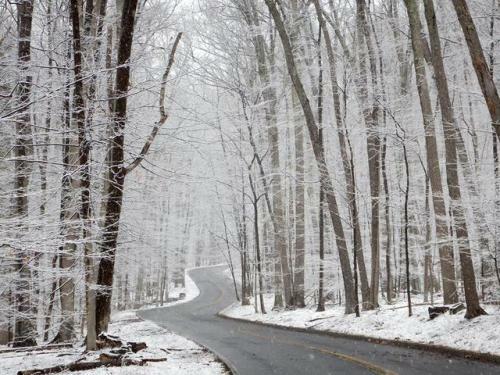 Here’s a spellbinding shot of this week’s snow at Catoctin… – Sig Nordal, Jr.
December 17, 2017 December 17, 2017 Sig Nordal, Jr.
Here’s a spellbinding shot of this week’s snow at Catoctin Mountain Park in Maryland. With 25 miles of hiking trails, popular trout fishing streams, great camping spots, horseback riding paths and beginner skiing areas, Catoctin is as fun as it is lovely. Photo by John Zuke, National Park Service.